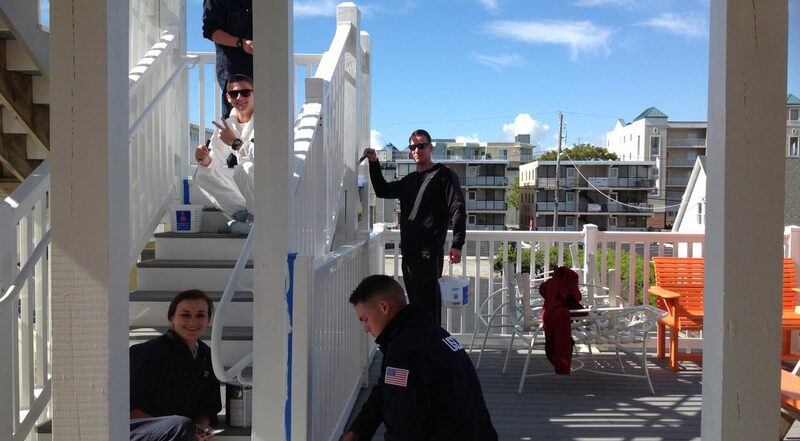 Members of the Coast Guard and Sherwin Williams celebrate national paint week by volunteering at Believe in Tomorrow Children’s House by the Sea. Believe in tomorrow is a place for children with serious illnesses to come and vacation with their families. And what better way to celebrate national paint week then by creating a brighter, whiter future for these kids? Click here to read more.